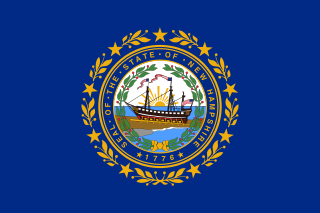 New Hampshire is a state in the New England region of the northeastern United States. It is bordered by Massachusetts to the south, Vermont to the west, Maine and the Atlantic Ocean to the east, and the Canadian province of Quebec to the north. 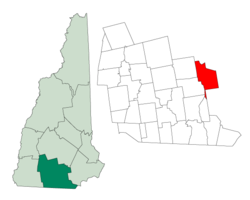 New Hampshire is the 5th smallest by area and the 10th least populous of the 50 states. Concord is the state capital, while Manchester is the largest city in the state. It has no general sales tax, nor is personal income taxed at either the state or local level. The New Hampshire primary is the first primary in the U.S. presidential election cycle. Its license plates carry the state motto, "Live Free or Die". The state's nickname, "The Granite State", refers to its extensive granite formations and quarries. The Northeast megalopolis, the most populous megalopolis in the United States with over 50 million residents, is the most heavily urbanized agglomeration of the United States. Located primarily on the Atlantic Ocean in the Northeastern United States, with its lower terminus in the upper Southeast, it runs primarily northeast to southwest from the northern suburbs of Boston, Massachusetts, to the southern suburbs of Washington, D.C., in Northern Virginia. It includes the major cities of Boston, New York City, Philadelphia, Baltimore, and Washington, D.C., along with their metropolitan areas and suburbs, as well as many smaller urban centers such as Richmond and Norfolk, Virginia to the south and Portland, Maine to the north. 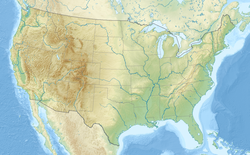 The Pennacook, also known by the names Penacook and Pennacock, were a North American people of the Wabanaki Confederacy who primarily inhabited the Merrimack River valley of present-day New Hampshire and Massachusetts, as well as portions of southern Maine. They are also sometimes called the Pawtucket people or the Merrimack people. John Goffe was a Colonial American soldier. His name is preserved in the name of Goffstown, New Hampshire and the Goffe's Falls neighborhood of Manchester, New Hampshire. 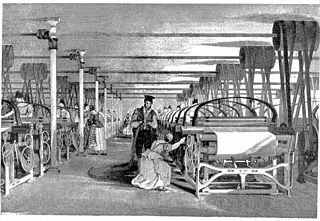 Benjamin Prichard was an early American industrialist who founded the Amoskeag Cotton and Wool Manufacturing Company, which would grow to be the largest cotton textile mill in the world. A company town is a place where practically all stores and housing are owned by the one company that is also the main employer. Company towns are often planned with a suite of amenities such as stores, churches, schools, markets and recreation facilities. They are usually bigger than a model village. The Amoskeag Locomotive Works, in Manchester, New Hampshire, built steam locomotives at the dawn of the railroad era in the United States. The locomotive works operated as a division of the Amoskeag Manufacturing Company between 1848 and 1859. Manchester Locomotive Works was a manufacturing company located in Manchester, New Hampshire, that built steam locomotives and fire engines in the 19th century. The first locomotive the company built was for the Chicago, Burlington and Quincy Railroad in March 1855. 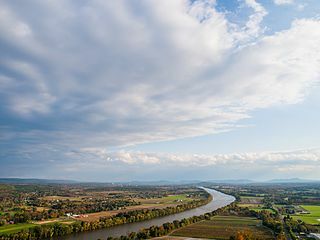 According to the United States Census Bureau, the city has a total area of 35.0 square miles (90.6 km2), of which 33.1 square miles (85.7 km2) are land and 1.9 square miles (4.8 km2) are water, comprising 5.33% of the city. Manchester is drained by the Merrimack River and its tributaries the Piscataquog River and Cohas Brook. Massabesic Lake is on the eastern border. The highest point in Manchester is atop Wellington Hill, where the elevation reaches 570 feet (170 m) above sea level. The Manchester Planning Board, in its 2010 Master Plan, defines 25 neighborhoods within the city. LivableMHT has drawn maps of the neighborhoods and neighborhood village centers as defined by the city. Recognition of particular neighborhoods varies, with some having neighborhood associations, but none have any legal or political authority. Manchester is northern New England's largest city, and as of the 2014 U.S. Census population estimate was the most populous New England city north of Boston, including other Massachusetts cities. Its metropolitan area is one of the fastest growing in New England. Its economy has changed greatly, as Manchester was a textile mill town about 40 years ago. In March 2009, Kiplinger voted Manchester the second most tax friendly city in the U.S., after Anchorage, Alaska. Earlier in the year, CNN rated Manchester 13th in its top 100 best places in the U.S. to live and launch a business. Manchester is nicknamed the Queen City, as well as the more recently coined "Manch Vegas". In 1998, Manchester was named the "Number One Small City in the East" by Money magazine. The Mall of New Hampshire, on Manchester's southern fringe near the intersection of Interstates 93 and 293, is the city's main retail center. In 2001, the Verizon Wireless Arena, a venue seating more than 10,000, opened for major concerts and sporting events, enhancing the city's downtown revitalization efforts with a major hotel and convention center already in place across the street from the arena. The building was renamed the SNHU Arena in 2016, after Manchester's Southern New Hampshire University. The SNHU Arena has become the centerpiece of downtown Manchester. The venue can seat slightly less than 12,000 patrons for concerts, and at least 10,000-seat configurations for sporting and other forms of entertainment. The arena is home to the Manchester Monarchs, the local ECHL affiliate of the Los Angeles Kings. It has also hosted major recording artists and comedians, national touring theatrical productions, family-oriented shows, and fairs since it opened in 2001. The Northeast Delta Dental Stadium (formerly MerchantsAuto.com Stadium) is a baseball park on the Merrimack River in downtown Manchester and is home to the local AA baseball affiliate of the Toronto Blue Jays, the New Hampshire Fisher Cats. Historic Gill Stadium supported professional minor-league baseball into the early 21st century and continues to be a viable and popular downtown venue for many sporting and entertainment events, seating nearly 4,000 patrons, depending on the event format. Cultural landmarks include the historic Palace Theatre, the Currier Museum of Art, the New Hampshire Institute of Art, the Franco-American Center, the Manchester Historic Association Millyard Museum, the Massabesic Audubon Center, the Amoskeag Fishways Learning and Visitors Center, the Lawrence L. Lee Scouting Museum and Max I. Silber Library, and the SEE Science Center. Valley Cemetery, the resting place of numerous prominent citizens since 1841, is an early example of a garden-style burial ground. In the New Hampshire Executive Council, Manchester is included within the 4th District and is represented by Republican Ted Gatsas,  the city's former mayor. Manchester is included within New Hampshire's 1st congressional district and is represented by Democrat Chris C. Pappas. With the expansion of Interstate 93 to eight lanes from Salem to Manchester under construction, space is being reserved in the median for potential future commuter or light rail service along this corridor. The I-93 transit study also suggested restoring service on the Manchester and Lawrence branch for commuter and freight rail. This corridor would support freight rail along with commuter, something that light rail cannot do. Londonderry is a town in western Rockingham County, New Hampshire, United States. The town sits between Manchester and Derry, the largest and fourth-largest communities in the state. The population was 24,129 at the 2010 census and an estimated 26,126 in 2017. Londonderry is known for its apple orchards and is home to the headquarters of Stonyfield Farm and part of Manchester-Boston Regional Airport. Hudson is a town in Hillsborough County, New Hampshire, United States. It is located along the Massachusetts state line. The population was 24,467 at the 2010 census, with an estimated population of 25,139 in 2017. It is the tenth-largest municipality in the state, by population. The University of New Hampshire at Manchester, or UNH Manchester, is the urban campus of the University of New Hampshire and was established in 1985 as the sixth college of the University of New Hampshire. Other colleges within UNH include the College of Engineering and Physical Sciences, the College of Liberal Arts, the College of Life Sciences and Agriculture, the Thompson School of Applied Science, the College of Health and Human Services, the Peter T. Paul College of Business and Economics, and the School of Law. Students graduating from the University's urban campus join the more than 130,000 alumni of the University of New Hampshire. The Nashua Manufacturing Company was a cotton textile manufacturer in Nashua, New Hampshire that operated from 1823 to 1945. It was one of several textile companies that helped create what became the city of Nashua, creating roads, churches and its own bank as part of the process. Like most New England textile mills it struggled during the Depression. It shut after World War II, when much of the industry had moved South for cheaper labor and land. The Amoskeag Manufacturing Company was a textile manufacturer which founded Manchester, New Hampshire. From modest beginnings in near wilderness, it grew throughout the 19th century into the largest cotton textile plant in the world. At its peak, Amoskeag was unrivaled both for the quality and quantity of its products. But with great size came an inability to adapt. In the early 20th century, the business failed to adapt to changing economic and social conditions. District A is a historic worker housing district located in Manchester, New Hampshire, near the former Amoskeag Manufacturing Company millyard. It is bounded by Pleasant, State, Granite, and Bedford streets, and includes seven surviving tenement blocks built by Amoskeag between 1843 and 1852. The district was added to the National Register of Historic Places on November 12, 1982. District B is a historic worker housing district located in Manchester, New Hampshire, near the former Amoskeag Manufacturing Company millyard. It is roughly bounded by Canal, Mechanic, Franklin, and Pleasant Streets, and was added to the National Register of Historic Places on November 12, 1982. It contains 32 contributing properties, including seventeen rowhouse tenement blocks built mainly between 1838 and 1850, in an area of approximately 170 acres (69 ha). District C is a historic worker housing district located in Manchester, New Hampshire, near the former Amoskeag Manufacturing Company millyard, and surrounding area. It is roughly bounded by N. Hampshire Lane, Hollis, Canal, and Bridge streets, and was added to the National Register of Historic Places on November 12, 1982. It originally contained nine rowhouses in an area of approximately 5 acres (2 ha); three have subsequently been demolished and replaced by a hotel. District D is a historic worker housing district located in Manchester, New Hampshire, near the former Amoskeag Manufacturing Company millyard. It is roughly bounded by Canal, Langdon, Elm, and West Brook streets, and was added to the National Register of Historic Places on November 12, 1982. It contains three residential buildings constructed in 1864 in an area of about 3 acres (1 ha). District E is a historic worker housing district in Manchester, New Hampshire, near the former Amoskeag Manufacturing Company millyard, at 258-322 McGregor Street on the west bank of the Merrimack River. It consists of five single-family houses, built in 1882 for overseers at the mills. It was added to the National Register of Historic Places on November 12, 1982. The Merrimack Valley is a bi-state region along the Merrimack River in the U.S. states of New Hampshire and Massachusetts. The Merrimack is one of the larger waterways in the New England region and has helped define the livelihood and culture of those living along it since native times. 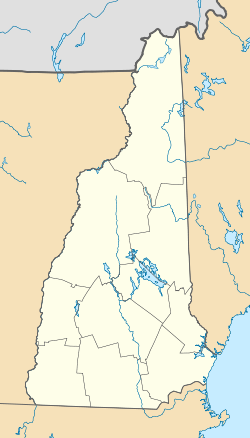 The West Side is a large area defining many neighborhoods in the city of Manchester, New Hampshire, in the United States. It consists of all parts of the city that lie west of the Merrimack River and includes the neighborhoods of Northwest Manchester, Rimmon Heights, Notre Dame, Piscataquog, Wolfe Park, and Mast Road. It lies just to the east of the community of Pinardville in the neighboring town of Goffstown. Manchester, the largest city in New Hampshire, is made up of 25 neighborhoods, according to the Manchester Planning Board in its 2010 master plan. Recognition of particular neighborhoods varies, with some having neighborhood associations, but none have any legal or political authority. The following is a timeline of the history of the city of Manchester, New Hampshire, United States. Samuel Blodgett was an early American lawyer, industrialist, and financier who founded the city of Manchester, New Hampshire. 1 2 Brooks, Scott (2005-10-26). "ManchVegas: Love it or hate it, the Queen City's other name has stuck". New Hampshire Union Leader . Retrieved 2011-01-20. ↑ "American FactFinder". United States Census Bureau . Retrieved 2014-11-04. 1 2 3 4 "Annual Estimates of the Resident Population: April 1, 2010 to July 1, 2017 (PEPANNRES): Incorporated Places, New Hampshire" . Retrieved June 15, 2018. 1 2 3 "Geographic Identifiers: 2010 Demographic Profile Data (G001): Manchester city, New Hampshire". U.S. Census Bureau, American Factfinder. Retrieved August 5, 2014. 1 2 3 4 5 "Manchester, New Hampshire". Encyclopædia Britannica Online. Encyclopædia Britannica. 2 December 2014. Retrieved 22 June 2015. ↑ Manchester, New Hampshire Publisher: CityTownInfo.com Retrieved: 4 March 2014. 1 2 Kavilanz, Parija. "10 best cities for small businesses". CNNMoney. Retrieved 2017-09-21. 1 2 3 From textiles to high-tech: No. 13, Manchester, N.H. - Mar. 26, 2008. Mutualfunds.info (2008-03-26). Retrieved on 2013-08-02. 1 2 3 "Top 10 Tax-Friendly Cities". Yahoo!. Archived from the original on 2017-03-08. Retrieved 2017-01-17. 1 2 Greenburg, Zack O'Malley (14 July 2009). "In Depth: America's Best Cheap Cities". 1 2 "10 Cities Where The American Dream Is Still Alive". 1 2 Dill, Kathryn. "The Most And Least Educated Cities In America". Forbes. Retrieved 2017-09-21. ↑ Clarke, J.B. (1875). Manchester: A Brief Record of Its Past and a Picture of Its Present, Including an Account of Its Settlement and of Its Growth as a Town and City; a History of Its Schools, Churches, Societies, Banks. p. 11. 1 2 Samson, Gary (2000). Manchester: The Mills And The Immigrant Experience. Portsmouth, New Hampshire: Arcadia Publishing. pp. 13–18. ISBN 978-0-7385-0477-3. ↑ Samson, Gary (2000). Manchester: The Mills And The Immigrant Experience. Portsmouth, New Hampshire: Arcadia Publishing. pp. 22–27. ISBN 978-0-7385-0477-3. ↑ Master Plan. Manchesternh.gov (2012-02-06). Retrieved on 2013-08-02. ↑ City of Manchester : Current Projects Archived 2010-08-18 at the Wayback Machine . Yourmanchesternh.com (2010-06-30). Retrieved on 2013-08-02. ↑ Oh Goodies: Wal-Mart Goes Mail-Order Gourmet | New Hampshire Public Radio. Nhpr.org (2012-11-14). Retrieved on 2013-08-02. ↑ Only In Print: Big-dollar facelift is hoped for the Hollow | New Hampshire Only in Print. Unionleader.com (2013-05-26). Retrieved on 2013-08-02. 1 2 "Station Name: NH MANCHESTER AP". National Oceanic and Atmospheric Administration. Retrieved 2017-09-08. 1 2 "NowData - NOAA Online Weather Data". National Oceanic and Atmospheric Administration . Retrieved 2018-02-26. ↑ "Profile of General Population and Housing Characteristics: 2010 Demographic Profile Data, Manchester, NH Metropolitan NECTA". U.S. Census Bureau, American FactFinder. Retrieved September 16, 2011. ↑ "Annual Estimates of the Resident Population: April 1, 2010 to July 1, 2015 (PEPANNRES) - United States -- Metropolitan and Micropolitan Statistical Area; and for Puerto Rico". U.S. Census Bureau, American Factfinder. Retrieved July 11, 2016. 1 2 3 "Profile of General Population and Housing Characteristics: 2010 Demographic Profile Data, Manchester city, New Hampshire". U.S. Census Bureau, American FactFinder. Retrieved September 16, 2011. ↑ "Manchester (city), New Hampshire". State & County QuickFacts. United States Census Bureau. Archived from the original on 2015-07-17. ↑ "New Hampshire — Race and Hispanic Origin for Selected Cities and Other Places: Earliest Census to 1990". United States Census Bureau. Archived from the original on 2012-08-06. ↑ "Selected Social Characteristics in the United States: 2011 American Community Survey 1-Year Estimates (DP02), Manchester city, New Hampshire". U.S. Census Bureau. Retrieved February 22, 2013. ↑ "U.S. Decennial Census". Census.gov. Retrieved April 5, 2013. ↑ "Selected Economic Characteristics: 2011 American Community Survey 1-Year Estimates (DP03), Manchester city, New Hampshire". U.S. Census Bureau. Retrieved February 22, 2013. ↑ "Quick Facts". Manchester Economic Development Office. Retrieved February 9, 2019. ↑ "SEE Science Center" . Retrieved 1 September 2017. ↑ Site, City of Manchester NH Official Web. "JFK Memorial Coliseum". ↑ "Manchester Local Customs". VirtualTourist.com. Retrieved June 7, 2010. ↑ "Manchester Parks need help". The Hippo. Retrieved June 7, 2010. ↑ "Monsters, Marriage and Murder in Manchvegas" – via www.imdb.com. ↑ "Slam Free or Die Voted "Best Poetry Venue in the World"". 26 July 2013. ↑ "Manchester City Library - Visit Us". Manchester City Library. ↑ "SNHU Athletics". Southern New Hampshire University - Official Website. SNHU. Retrieved 29 April 2015. ↑ "WFTDA Leagues – WFTDA". ↑ Rivers, Bryon (2009-08-21). "The women of Skate Free or Die prepare for final match" Archived 2013-01-10 at Archive.today . Lawrence Eagle Tribune. Retrieved 2010-02-12. ↑ "State Election Results - NHSOS". sos.nh.gov. ↑ "District 4: Councilor Theodore L. Gatsas". State of New Hampshire. Retrieved January 10, 2019. ↑ "St. Catherine of Siena School". ↑ "Manchester Ink Link - Where all things Manchester connect". manchesterinklink.com. 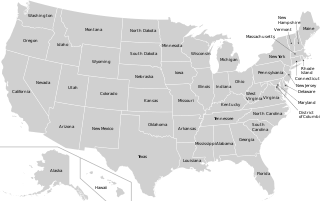 ↑ List of major cities in US lacking Amtrak service - Wikipedia, the free encyclopedia. En.wikipedia.org. Retrieved on 2013-08-02. ↑ Transportation, CHA for New Hampshire Department of. "Rebuilding I93: Salem to Manchester (NHDOT) — Frequently Asked Questions (F.A.Q.)". ↑ "Rail plan" (PDF). nh.gov. ↑ Livable: Dean Kamen proposes downtown rail loop. LivableMHT (2012-01-17). Retrieved on 2013-08-02. ↑ Site, City of Manchester NH Official Web. "Fire Department". ↑ "Organization Chart" (PDF). manchesternh.gov. ↑ Site, City of Manchester NH Official Web. "Fire Roster". ↑ Site, City of Manchester NH Official Web. "Fire Stations". ↑ Site, City of Manchester NH Official Web. "Department Apparatus". Wikimedia Commons has media related to Manchester, New Hampshire .